Campaign finance reports in Idaho state races are due Monday – which is when we’ll find out who’s providing the initial funding behind the 2018 campaigns for governor, lieutenant governor and more. 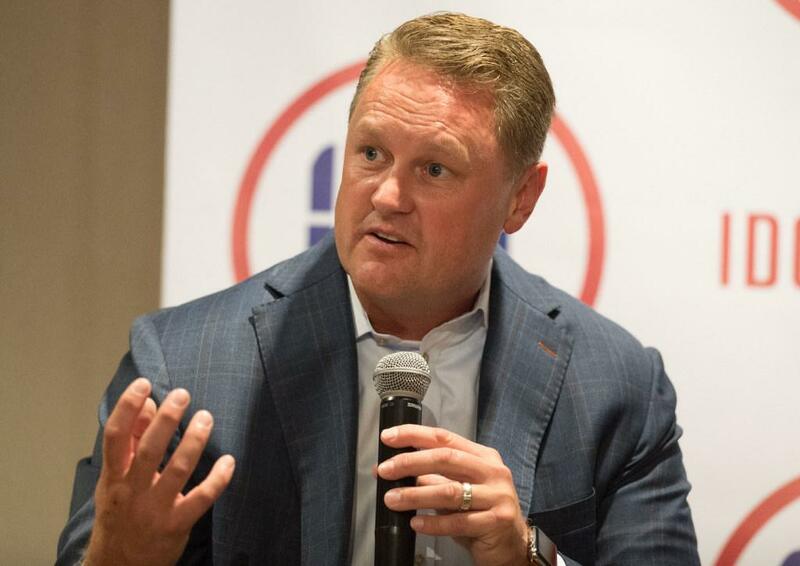 But GOP gubernatorial candidate Tommy Ahlquist sent out a news release on Thursday touting his fundraising, saying his campaign raised nearly $575,000 between March 1 and June 30, with more than half of the donations below $100. Ahlquist also put in $378,000 of his own money, according to the release, bringing overall receipts to the campaign during the first reporting period to more than $950,000. The campaign spent just over $790,000; it’s been running statewide TV ads to introduce the first-time candidate. Ahlquist is a physician and developer; his rivals so far for the 2018 GOP nomination for governor include Lt. Gov. Brad Little and 1st District GOP Rep. Raul Labrador. Ahlquist hasn’t yet filed his full campaign finance report. His campaign said it will be filed with the Idaho secretary of state on Monday. None of the other gubernatorial hopefuls have filed yet, either, except Republican and former independent Lisa Marie, who reported no fundraising. Candidates who aren’t running next year but have remaining campaign funds also have to file reports by Monday. Among those who have filed so far is embattled state Treasurer Ron Crane, who reported receiving no donations but spending down most of his remaining campaign funds. His largest expenditures were a $1,000 donation to the Campaign for Working Families PAC in Virginia, an anti-abortion and anti-gay marriage PAC, and $750 to Raul Labrador for governor. Idaho businessman Tom Kealey announced last week that he’ll run for the open state treasurer post in 2018, the third Republican to enter the race for the seat from which longtime Treasurer Ron Crane is retiring. Kealey, who with his wife, Joy, owns the Chicago Connection Restaurant Group and operates seven Treasure Valley restaurants, is a retired certified public accountant with an MBA from Harvard and an accounting and finance degree from the University of Washington. He recently retired after serving more than 14 years on the Idaho Endowment Fund Investment Board. Kealey’s announcement came just days after the Idaho Statesman published a front-page story saying Crane, who has been state treasurer since 1998, paid at least $5 million more than was needed for borrowing costs for the state’s short-term debt, and is refusing to allow two state oversight boards he chairs to review his practices. Already in the race for the treasurer post in 2018 are Ada County Treasurer Vicky McIntyre, who filed two weeks ago, and Kevin Jones, who founded a Boise investment firm, who filed for the office last winter. Though Idaho state schools Superintendent Sherri Ybarra announced in December of 2015 that she’d seek re-election in 2018, she’s had little campaign activity so far this year, according to her campaign finance report. Ybarra reported $900 in contributions for the first half of 2017, $400 of that from herself. Her biggest donation was $300 from Bennett Lumber Products – two individuals, Dan Goicoechea, of Boise, and Marcene Ferguson, of Rigby, each donated $100. Ybarra spent $519, and has $281 in the bank. Jeff Dillon, the Wilder school superintendent who filed in late April to challenge Ybarra next year, reported raising $2,870, including $100 of his own money. M2 Automation and Control, a fire alarm company in Boise, gave $2,000; Anthony Wallace, of Meridian donated $500; and Mike Philson, of Pensacola, Florida, gave $250. Dillon reported just $117 in spending and $2,753 cash on hand at the close of the reporting period.